How do you fit in as a potential BUSVA member? Affiliation with the military does not determine your membership in the group. If you are a person who can provide support towards the efforts of the club, who is dedicated and can be an involved member that likes to work with a cohesive unit, then this is the club for you! 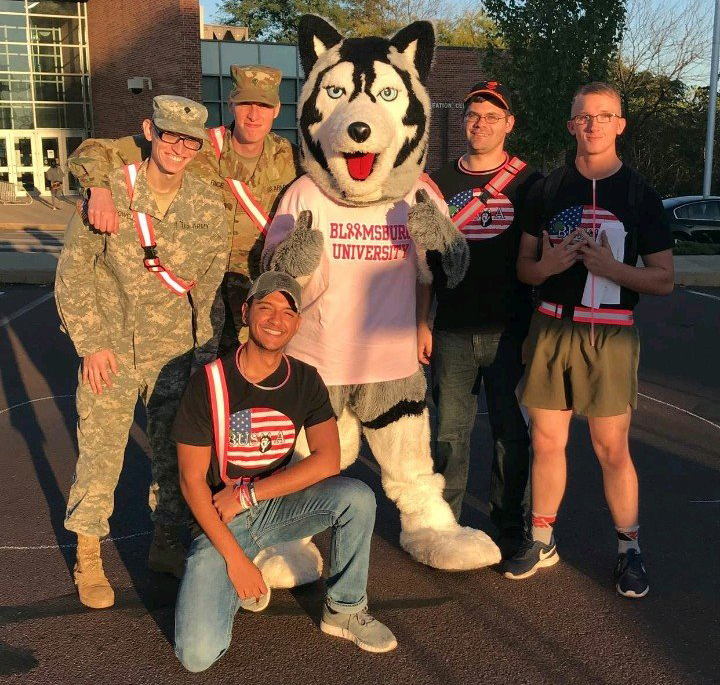 Our goal is to bring a stronger understanding to both the University Campus and the Bloomsburg Community about what being a military student is about. But the most important aspect about the club is that we want to keep the military family together. Our focus on unity brings our efforts to fruition, and the possibilities for developing meaningful relationships, experiences and internship/job/conference opportunities are endless. The club welcomes any student from freshman through senior year. We do many things for fun, such as Float building for parades and social activities to bring group members together. In addition, we offer many resources for students in order to help them further advance their academic efforts. The group has gathered information for veterans for their own knowledge, as well as to help them with financial aid resources, counseling services, and making their transition into university life as smooth as possible. What does BUSVA do for the Community? BUSVA reaches out to many different organizations in order to do fundraisers, such as the PA Wounded Warriors Foundations, local Women Shelters, the Gary Sinise Foundation, and more. The club also supports various causes that have a great impact in our society and tries to bring awareness to these issues, such as mental health and breast cancer. Lastly, the club also holds special events alongside other groups and organizations on campus, in order to promote the aspect of inclusiveness that the club is so proud about. But that is just the tip of the Iceberg. Feel free to contact us to learn more and be a part of something great! Follow us on social media, and join us for our meetings. You will not regret it.